If you are overworked, overwhelmed and overwrought then I’d say that one of the reasons could be that you aren’t assertive. Or you aren’t assertive often enough. Maybe you don’t ask for help because you think you should be able to do everything by yourself. Maybe you don’t say no to your boss in case you’re looked over for promotion or you put up with demanding customers because you worry that you won’t be able to find better ones. Asking for what you want—and setting boundaries around what you don’t want—is a key life skill. But sometimes when we have had a tough day its easy for all the resentment to come pouring out, for us to tell our partner how we feel in a less than productive way. When that happens we end up with a partner who shuts down, gets angry or feels resentful. l outcome opens our minds, prevents us from falling into passivity or “victim-thinking,” and helps us get really clear on what we want and don’t want. Once you know what outcome you need (or want), share it with your partner. Pay attention to the way stating your boundary feels in your body. With practice, you can actually sense when you’re hitting the “sweet spot.” It can feel really good, even exhilarating, to express your needs or desires out loud. Phrases like “such and such doesn’t work for me” are simple ways of being assertive while maintaining connection with your partner. Make a Regular Habit of Stating Your Needs and Desires. If your partner isn’t respecting your boundaries even though you’ve set them clearly, it may be time for professional help for you and/or your relationship. Here’s Why You Must Stop Multi-Tasking! As a busy working mum I used to think that the only way I could get everything done was by multi-tasking. Women are taught to believe that multi-tasking makes us more efficient. This is NOT true! Research has shown that multi-tasking produces sub standard work and subjects us to more stress because it drains our mental energy. 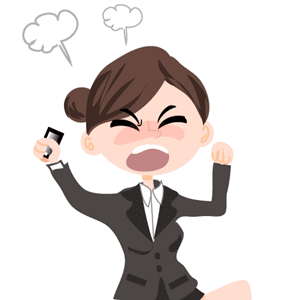 Which busy woman needs more stress? Not me and not you either I’d like to bet!! Multi tasking actually involves swapping quickly between tasks so the brain takes longer to switch on to the new task. Focusing 100% on one task at a time is much more efficient and less stressful. Stop being a sloppy multi-tasker and start being a smart multi tasker. Some tasks need your full attention but others are things that are so routine that you are almost on auto pilot while you are doing them. This is when you should be a smart multi-tasker. For example I always listen to something informative while I’m doing the ironing. It may be the recording of a webinar that I’ve signed up for, or the latest audio book that I’ve downloaded. Likewise if I’m walking the dogs or doing some form of exercise I will always be listening to something like an educational podcast. But the exception to the exception is those days when I’m feeling really frazzled or lacking in creativity. On those days there is nothing better than a walk along the beach WITHOUT headphones to get me feeling motivated again. I get some of my best ideas when I’m outside on my own so in a way I am still multi tasking but its SMART multi-tasking. What can you do to stop the unproductive SLOPPY multi-tasking and start being an effective, SMART mult-tasker instead? Have you got that “Fed up” feeling? We all have days from time to time when we feel a bit fed up. Feeling down occasionally is entirely normal. What you do about that feeling though can have a big impact on your life. Your life is your responsibility, you can choose to stay fed up or you can choose to fix it. Although you might just want to pull the covers over your head, feeling down is the perfect time to reach out for support. Get hold of your sister, a friend, or even your dad to talk about how you are both doing. Go ahead and pick up the phone, it’s okay to tell someone you’re feeling down. A simple chat will give your spirits a lift. It may well be the last thing you feel like doing but If you can just get yourself moving your body will release endorphin’s, the “feel good” hormones which are guaranteed to lift your spirits. What are you really feeling? Label it. Why are you feeling this way? Describe it. How long have you felt these feelings? Jot it down. What can you do to feel better? Develop a plan and put it on paper. Writing helps you get your thoughts out of you head and to make sense of them. With a time limit on how long you’re allowing yourself to be in this mood, you might work harder to figure out the issue and tap into your personal power to feel better. I’ve just given you 6 quick fixes but if low mood is an ongoing problem consider calling a professional. There is a big difference between depression and low mood so if low mood is an ongoing problem which you can’t shake, consider contacting your Doctor or a Counselor. If however you’re fed up and feeling stuck, confused, overwhelmed, lacking confidence or just want to achieve your goals as quickly and effectively as possible a life coach will be able to help. I love Marie Forleo and EFT! Have you heard of Marie Forleo? If you haven’t I urge you to take a look at her website (after you have read my article of course) MarieForleo.Com I think she is an absolute inspiration! Everybody, man, woman, parent, non parent could learn something from Marie but if you are a woman interested in personal development in general or you want to learn more about marketing or growing a business then take a look. Every Tuesday she does Marie TV which is a video blog. If you sign up to receive Marie’s emails you will receive her latest episode. Marie TV is a must watch. I always take something away and her love of life and her positivity is infectious. I also read A LOT while I was looking for a magic cure. One of the things I kept reading about was EFT (emotional freedom technique) It is sometimes called tapping and it’s like acupuncture without the needles. Although I’d read lots of great stuff about how it was being used to treat PTSD amongst many other things I was still sceptical. It all sounded a bit “woo woo” to me! But I was desperate to feel “normal” whatever that means so I was willing to try anything. My inbuilt quest for knowledge meant that I didn’t want to just visit an EFT Practitioner, I actually wanted to be one. Sounds a bit silly in hindsight when I knew very little about it and had no experience of it working. But anyway I did the EFT level 1 course and I was really impressed by what I saw and experienced. 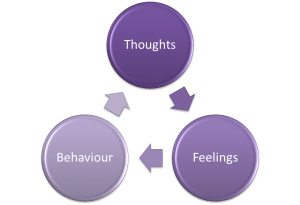 EFT became a big part of my recovery from stress, depression and anxiety and I went on to do the EFT level 2 course. I didn’t however do the paperwork or case studies to actually qualify as an EFT practitioner so I don’t currently use it with clients although I still use tapping on myself when necessary. Marie’s blog has made me realise though that I am doing clients a disservice by not at least having this resource in my “coaching toolkit”. Don’t get me wrong I don’t think it is a magic cure or that it works for everyone. But I know many people who have been very sceptical,who have found EFT to be beneficial. It can help deal with physical or emotional pain so it is worth a go. If you are curious watch Maries blog. 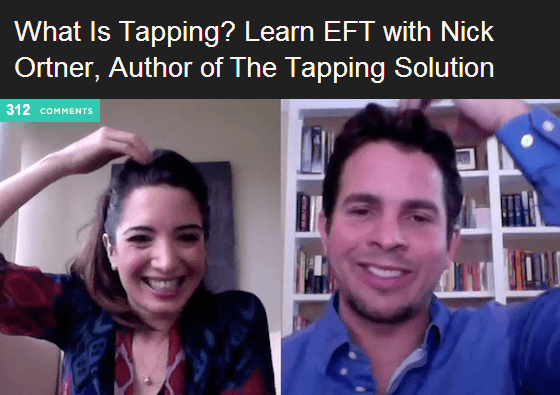 She interviews Nick Ortner who gives a fab explanation of tapping and a demonstration that you can follow along to, go on I dare you, who cares if you look silly! Just come back here and let me know how you got on. So this blog is me coming out of the EFT fan closet and making a public declaration that before the end of 2013 I will be a qualified EFT Practitioner! Life is more stressful than ever but choices that you make day in and day out affect whether you stay stressed and feeling guilty or you start taking small steps towards a calmer, more balanced life. #5 Choose not to feel guilty, Guilt is a wasted emotion and is often linked to comparing ourselves to others so STOP IT! #6 Choose to see the positive in every situation. If your mother in law offers to do some housework for you SAY YES! See it as a gift not as a criticism that you aren’t a good mum. #7 Choose to focus on small steps in the right direction. 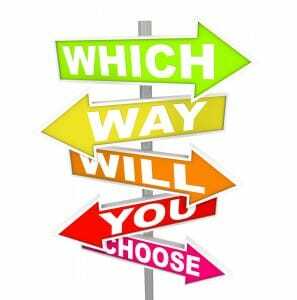 Pick one of the choices above and make it a habit! What do you choose to do differently? leave a comment below, I’d love to know. Are your kids driving you mad? I heard both of those recently from my 12 year old and I know it’s easy to get stressed and fall back into the habit of communicating with them by shouting. In a previous blog I gave you an ABC of staying calm and today I want to tweak that ever so slightly to use in this kind of situation. 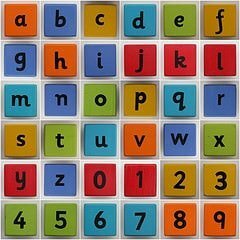 Of course an ABC may seem too simplistic but I encourage clients to think of the ABC system when they can feel a situation becoming stressful at the office or feel a temptation to shout at home because its easy to remember. Start to think of those feelings as a trigger to stop. Then think “what does ABC stand for?” This means you have interrupted a pattern of behavior and you will be retraining your automatic response to be more effective at handling this sort of situation. What could you have said instead? If someone at work had spoken to you in that tone of voice what would you have said? It’s unlikely that you would have responded by shouting in a work environment. Let them know you understand their point of view then explain your point of view. Let them know the reason for your decision. don’t use the “but” word. Use “and” instead, “but” negates anything you said before it. If this doesn’t work the first time don’t give up and don’t beat yourself up about it, just review and revise! What can you do differently next time. If you didn’t handle the situation well and you believed there was “no failure only feedback” what would that feedback be? Leave a comment and share your favorite tip for staying in control in the comments box at the bottom of the page! Stress is unavoidable, it is a fact or life and although I believe it can and should be managed, short term stress is not always a bad thing. Sometimes it is what motivates and drives us to get things done. That old saying “no pain, no gain” is true If we want to grow and develop and be successful it is necessary to stretch our comfort zone and that can cause us feelings of stress. What we think affects how we feel which affects how we behave so if you think you can’t do something you will feel like you can’t do it. Once you feel like you can’t do something, that in turn affects your behavior so maybe you don’t even try or maybe you just don’t do as good a job as you could have done if you were better prepared both mentally and physically. Just repeat this silently to yourself over and over and eventually you will start to believe it and feel it. There are lots of ways to manage stress but I’ve given you an ABC of ideas that you can try that take seconds and that you can do even in the middle of a busy office.